The G.W. Blunt White Library at Mystic Seaport Museum is the home of the most comprehensive maritime collection in America, and a major maritime research facility. The collection is used by Museum staff, resident students, maritime history scholars, genealogists, artists, authors and more. The Library’s collection consists of 75,000 books; 1,000,000 pieces of manuscript material; 2,000 logbooks; 200,000 sheets of ships plans; 10,000 charts and maps, periodicals, oral histories, and other relevant collections. The Fellows of the G.W. Blunt White Library is a small group of individuals who have joined together to support the Library, its collections and programs. The organization was founded in 1981 to strengthen the Library’s collections and endowment. Membership consists of researchers, writers, professors, librarians, booksellers and others with deep maritime interests. In addition to contributing financial resources to the Library, many Fellows serve either as volunteers or advisers. The Fellows also encourage research and scholarly publishing by offering multiple prizes each year. These include the Gerald E. Morris Prize Article Contest that includes an award of $1,000 for the best article published in CORIOLIS: the Interdisciplinary Journal of Maritime Studies; the John Gardner Maritime Research Award with a $500 cash prize for making a significant contribution to the field of American maritime research and the Williams-Mystic History Prize, awarded each semester to the best paper in maritime history produced by a student in the Williams-Mystic Program of maritime studies at Mystic Seaport Museum. Each summer, the Fellows organize a book sale to benefit the Library. Conducted in the style of a Dutch auction, prices for books begin the day at a higher price and gradually decline throughout the day. If the buyer is willing to take the risk that a coveted book will be available at the end of the day, a good bargain may be the result. 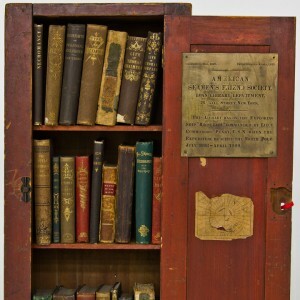 Many of the books donated to the Library are done so specifically to be sold for the Library’s benefit, and buyers interested in maritime subjects are the direct beneficiaries. Additionally, the Maritime Author Series is a program sponsored in part by the Library Fellows. It is run in conjunction with the Membership Department at Mystic Seaport Museum. Membership to the Fellows is attained through nomination by other Fellows. If interested in becoming a Fellow of the G.W. Blunt White Library, please contact Paul O’Pecko, Vice President of Collections and Research: paul.opecko@mysticseaport.org or 860.572.5366.